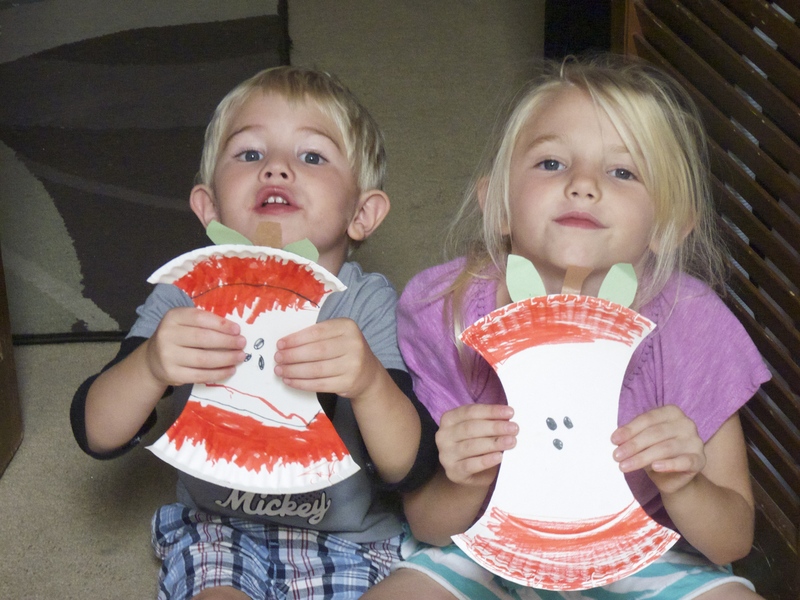 As we enter into the fall season it seemed like the perfect time to learn about apples. I think this unit ended up being Big Boys favorite so far. We enjoyed many fun activities we had planned. 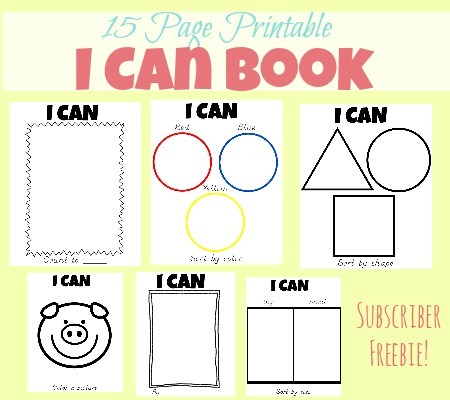 Bellow you will see a picture of our plan for the week. I mean really can you do an apple unit without including an apple taste test? 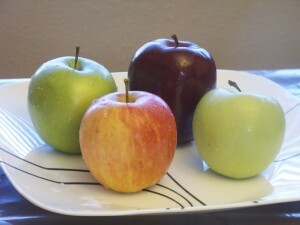 I took Big Boy with me to the grocery store and let him choose one of each colored apple. 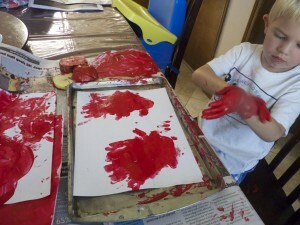 He really enjoyed doing this I think it made him feel more involved in the experiment. We made a quick graph on our paper and recorded our likes and dislikes. 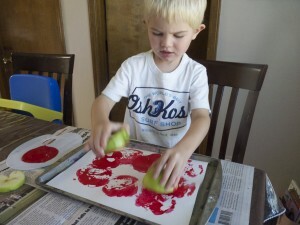 Big Boy had lots of fun using the apples as stamps. 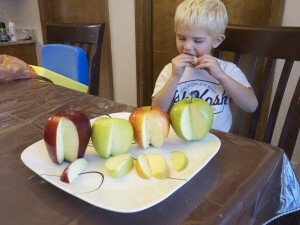 I cut them both vertically and horizontally so he could see the different shapes that were made each way. 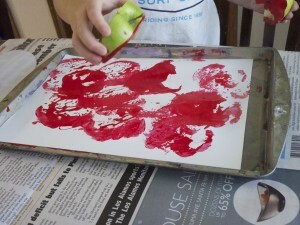 Because I have a three-year-old boy, apple stamps naturally led to apple handprints. Which was just as fun for him and I never mind a little deviation from our plan for curiosities sake. 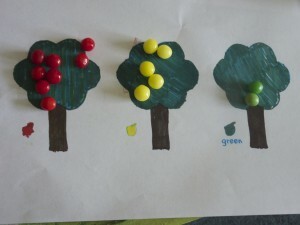 Big boy used chewy assorted lemon head candies to do this fun apple sort page from No Time For Flash Cards. 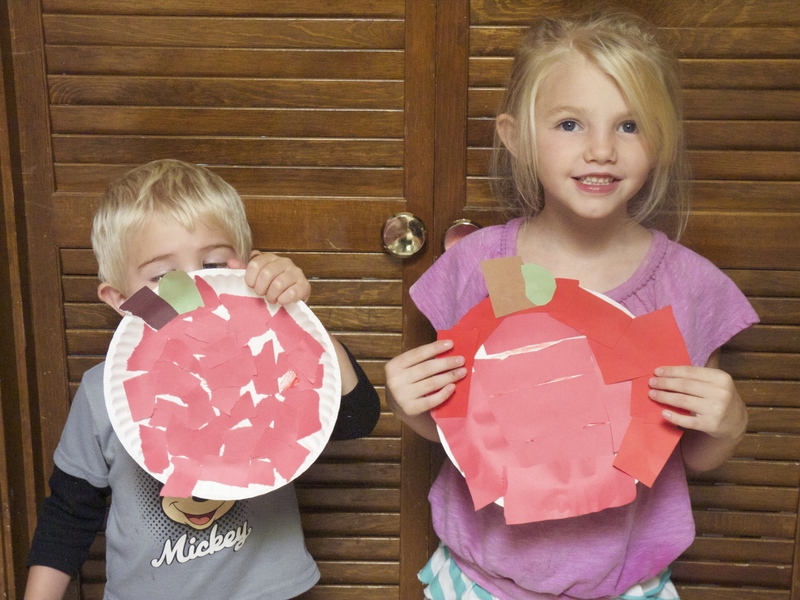 The kids both made an apple core and torn paper apple craft. 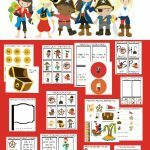 They had lots of fun working together and I love seeing how different their project turnout from one another. Oopsey Daisy offers an amazing printable apple packet with tons of fun apple themed ideas! We had fun printing out and coloring the apple picture from page 76. 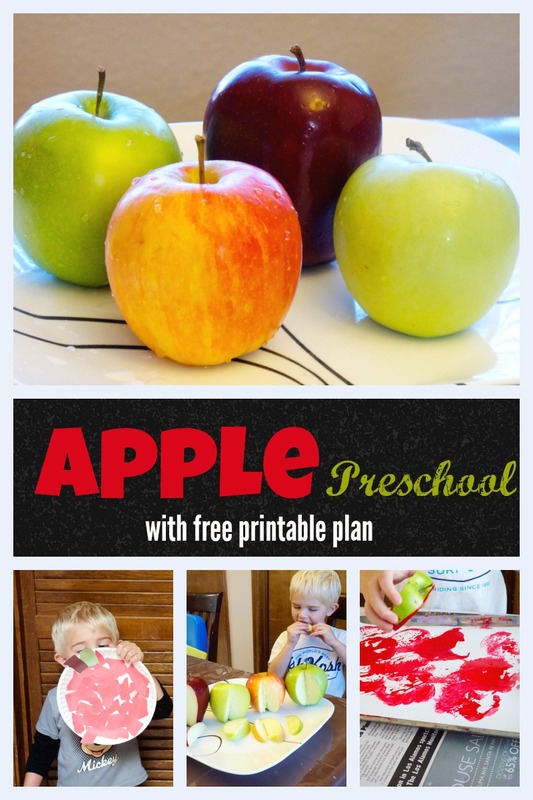 If you want fun apple themed ideas you’ll definitely want to check out her packet. 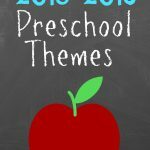 All in all in was a great week of preschool. 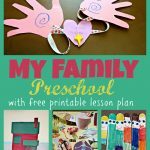 You can grab a copy of this weeks lesson plan below. 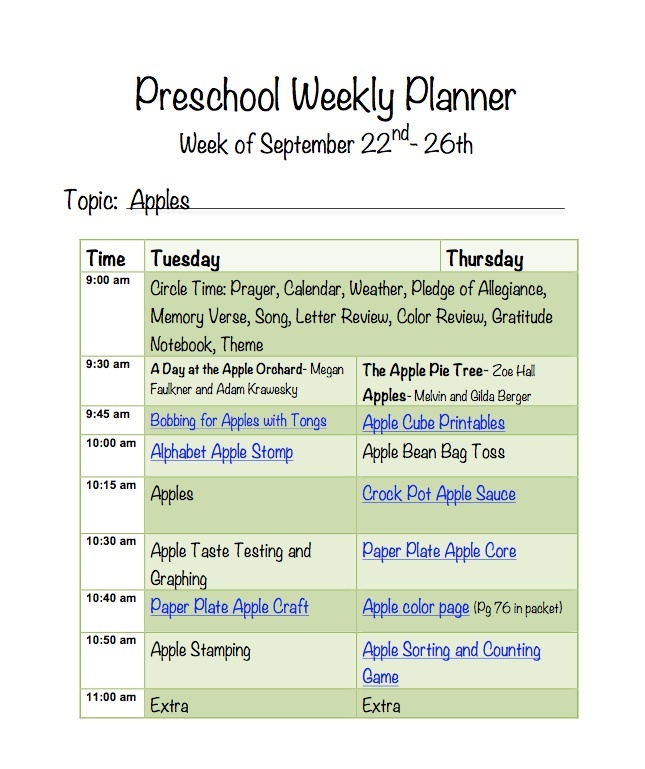 What are your favorite apple activities? Please comment and let us know!